Airbnb's Open Homes network is a community of hosts that sign up to donate their homes and provide emergency shelter to people affected by hurricanes, forest fires, flood, and other disasters. 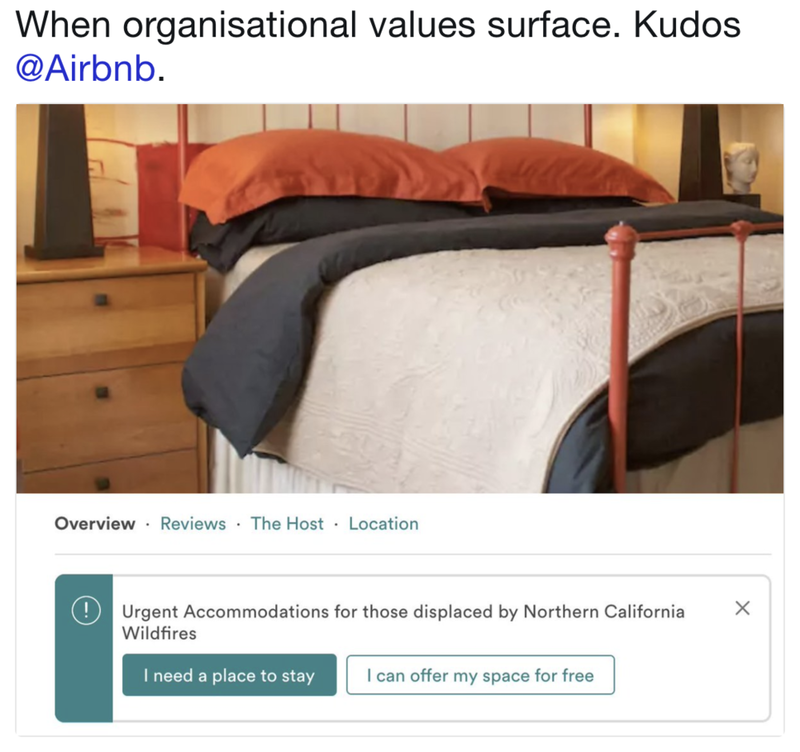 When the disaster stuck in Northern California, Airbnb posted an "Urgent Accommodation" url link on their platform to help evacuees find a place stay. The Open Homes network is a powerful example of putting people before profit. Now that's how to earn the respect and loyalty of customers.